Italy has almost everything a vacationer can hope to find: there are beautiful cities, ancient ruins, lots of history, Renaissance art and architecture, stunning coastal villages, beautiful valleys and vineyards, fairytale-worthy canals, and much more. But your trip to Italy isn’t really complete unless you have been to the lake region in the north. The lakes in Northern Italy are truly fantastic. Close to the Swiss and French borders, there are three big lakes there: Como, Garda, and Maggiore. And they are all absolutely stunning. Set against the foothills of the Alps, each one offers dramatic scenery, and of course a respite from the intense heat of the summer. But the lakes are popular destinations during the winter as well. A lot of skiers come down from the Swiss ski resorts to spend a quiet few days in the beautiful towns along the shores of these lakes. 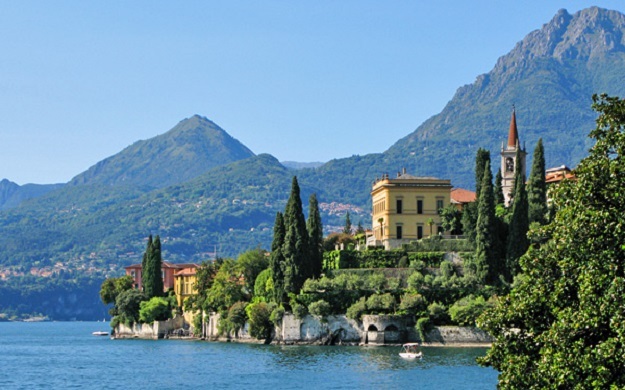 And not just any tourists, even celebrities have adored the beauty of Italy’s lakes. Richard Branson and George Clooney have owned villas on Lake Como for more than a decade, while Silvio Berlusconi, the former Italian Prime Minister and owner of the Italian football club A.C. Milan, recently purchased a mansion on Lake Maggiore. If you are looking for a romantic vacation in Italy, then you should definitely visit these famous Italian lakes. 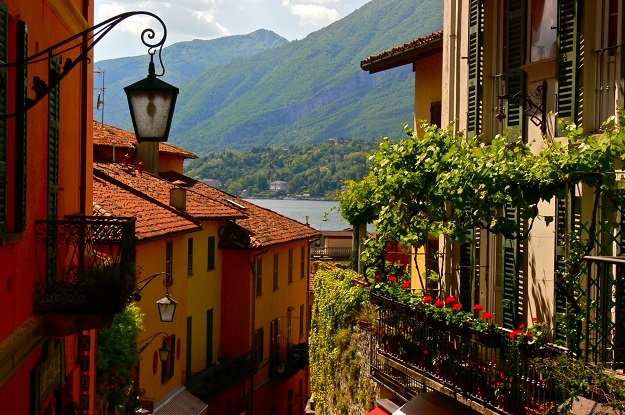 Como is, of course, the most popular, and your trip there should definitely include a lake cruise, during which you can go all the way up to Colico, though most people like to cruise to Bellagio to see its amazing rainbow-colored villas. You will love the small sailing port of Cernobbio on the western shore, as well as the sleepy villages of Laglio and Menaggio. While Bellagio is a chic hillside village that’s just right for romantic couples, Varenna and Bellano are popular among nature buffs, as there are many elaborate Renaissance gardens and beautiful medieval castles there. Lake Maggiore is the second largest lake in Italy. You and your partner could go on a hiking trip into the woodlands beside the lake or go through the artisan shops at the village of Stresa if you want something more relaxing. Grab a quick bite at one of the waterfront restaurants, and be sure to take in the snow-capped peaks and blue waters, which make for heaven for the eyes. 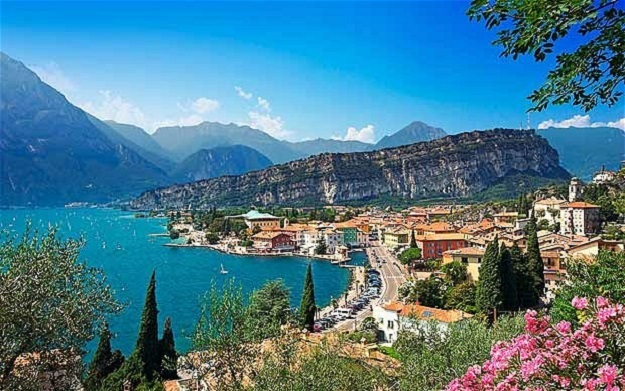 Lake Garda is beautiful, too, and it’s known for its lovely vineyards, olive trees, and lemon groves. Foodies love the Valpolicella and Bardolino wines from the region. 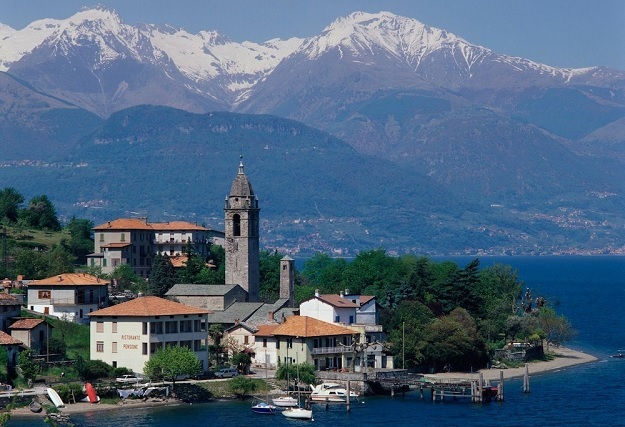 Walk with your honey and explore the small villages of Gargnano and San Felice del Benaco. If you’re looking to impress your mate, spring for one of the many upscale hotels that line the lake’s shore.